Poirier and Corrasani were only in the cage together for five minutes and 42 seconds, but their shootout was good enough to score “Fight of the Night” honors. 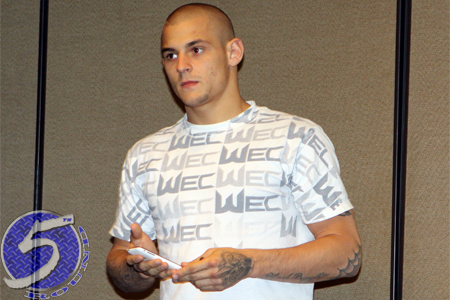 Poirier ultimately ended things by unleashing a barrage of punches in the second round. Noons slapped Sam Stout unconscious just 30 ticks into their welterweight affair to earn “Performance of the Night.” It also took Jimmo under a round to knock out Steve Bosse to win the other “Performance of the Night” check.